We left Seashells Yallingup and drove to Goanna Cafe & Gallery for breakfast. 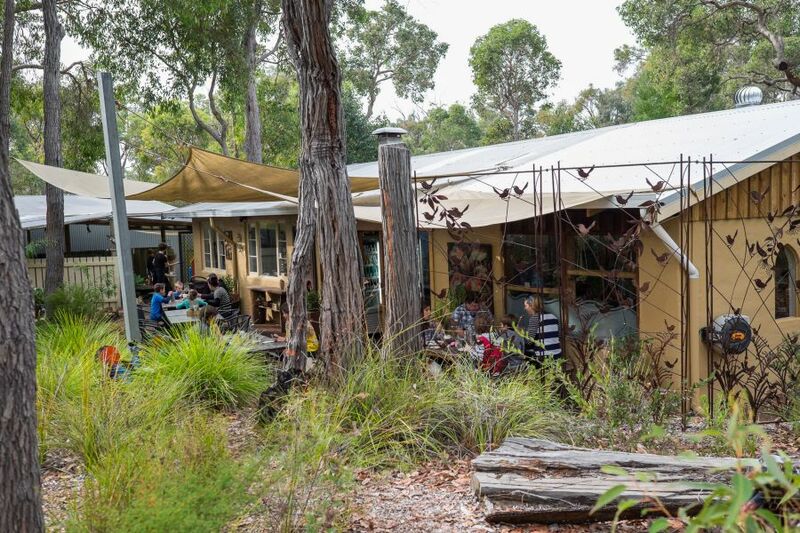 There are several areas to sit at Goanna Cafe – under colourful umbrellas at the front of the cafe; in the covered verandah area, where large tables and bench seating will suit groups; inside, probably the least tranquil option, as customers line up to place orders at the counter and food comes out of the kitchen; and at the back of the cafe, where tables look out onto the bush. It’s a family-friendly cafe – out the back there’s also a covered area off to the side, with toys, sandpit and large blackboard. 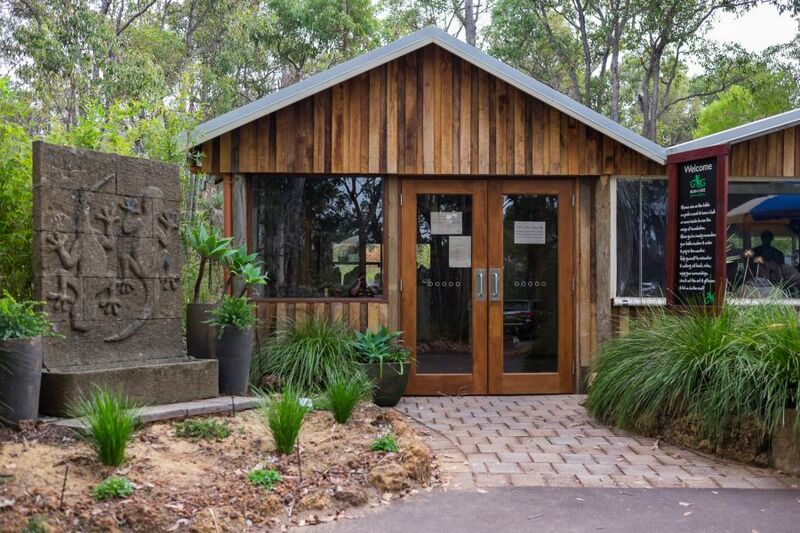 The surrounding bushland provides space for kids to run around, with timber playground equipment and quirky sculptures to discover. It was a crisp, sunny morning, just too beautiful to sit indoors. 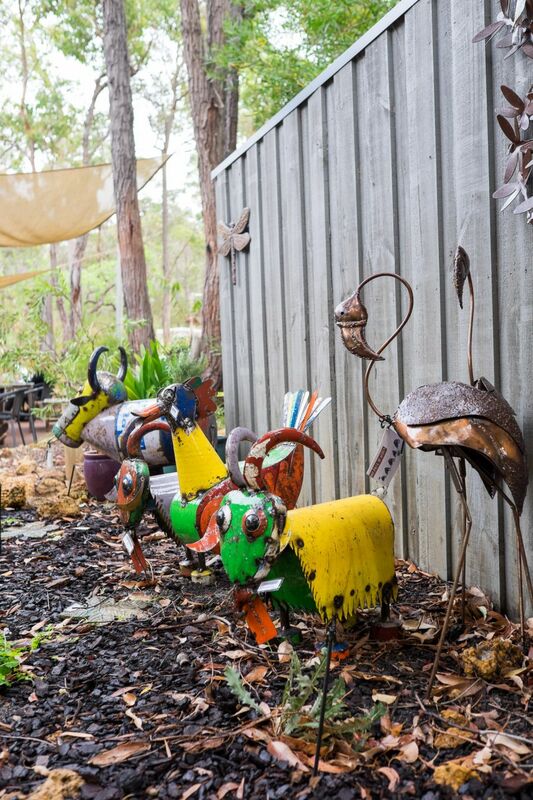 We sat out back and enjoyed a hearty breakfast ‘watched’ by a colourful metal menagerie, occasionally interrupted by giggles and rustling in the bushes – kids exploring, crawling, climbing. The menu is driven by seasonal and local produce, and chef owners and business partners Duncan and Tim make as much as possible in-house. 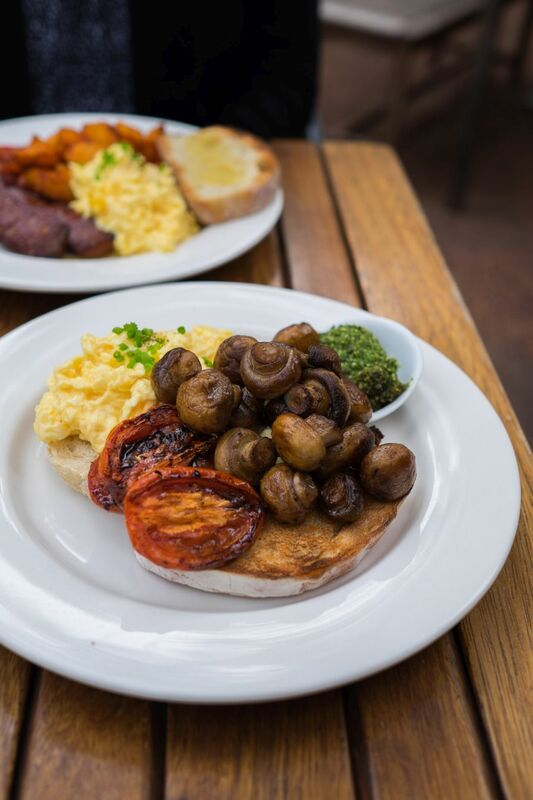 Jac chose the Bush Breakfast ($AU19) with scrambled eggs, toast, garlic mushrooms, roasted tomato and pesto. 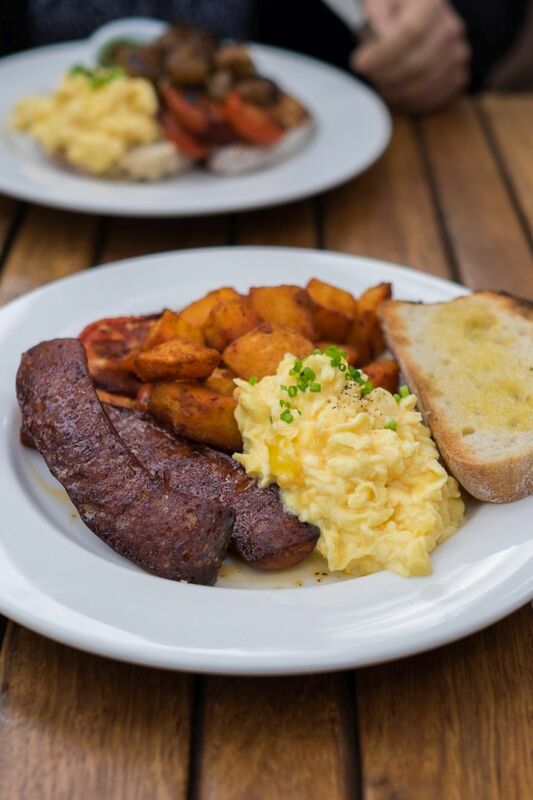 I love hot potatoes and chose the Spanish Breakfast ($21) with scrambled eggs, toast, chorizo, roasted tomatoes and paprika fried potatoes. 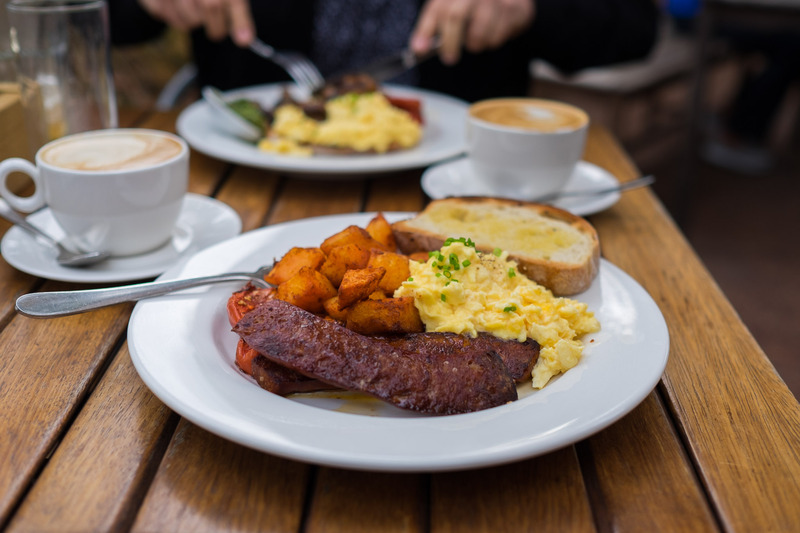 Fabulously curdy soft eggs, but a gigantic pan of those potatoes would be pure happiness… I’m still thinking about them months later. 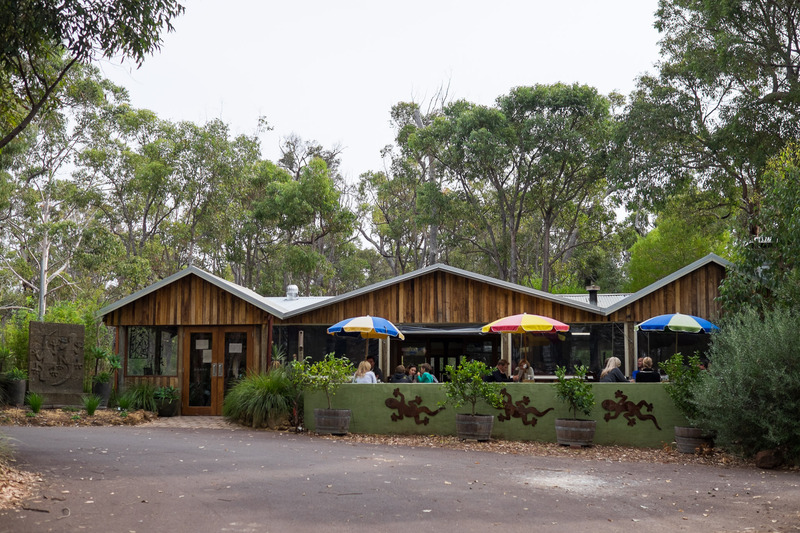 The Goanna Gallery features local artwork, handcrafts and gifts, giving emerging artists and photographers from the region the opportunity to exhibit their work in the Cafe. There is plenty to look at if you’re not in a hurry. 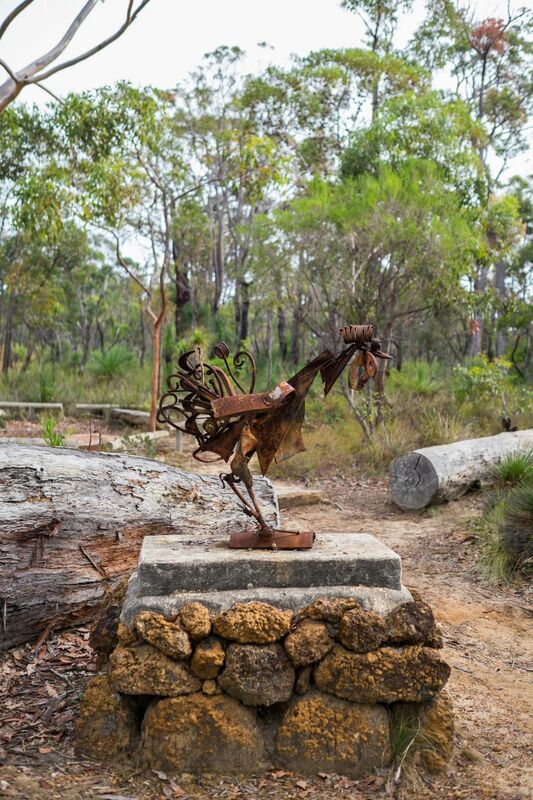 After breakfast, we took a walk along the bush track, spotting more sculptures hidden in the bushland. 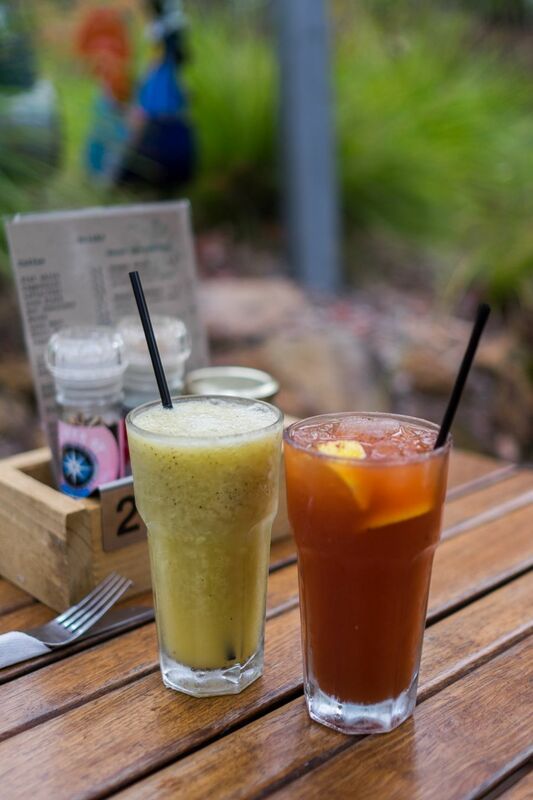 Prices have been included for your information; our breakfast was compliments of Goanna Cafe & Gallery. Back on the road we went. There’s just one more post to come in this series. 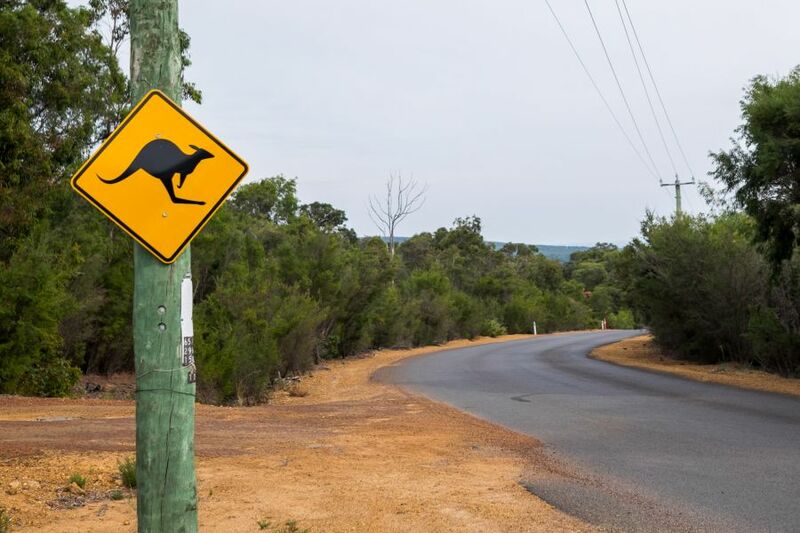 Poor Jac – I made her stop the car so I could get out and take this shot.